Life as a new parent is a bit crazy. Challenging, wonderful, tiring, exciting - and usually nothing like you expect! Luckily, there are lots of ways you can use the wonders of modern technology to help you out. There are so many little known ways for us yummy mummies and daddies to use gadgets to make life with a new baby easier. One of the main questions new parents have is - how can I get this baby to sleep? Well, one of the hacks that really worked with Theo was to play him white noise - hair dryer, washing machines and so on. But if you're thinking you have to stand there for hours holding your hairdryer while baby nods off, think again. There are thousands of hours of white noise available for download or via YouTube. We use this portable wireless hi-fi system speaker, so you can play white noise in the nursery when baby starts to stir from downstairs. Is that genius? Music and songs are also one of the best ways to entertain and soothe your little one. Some fun nursery rhymes in the morning played over this can buy me a vital few minutes to have a shower! 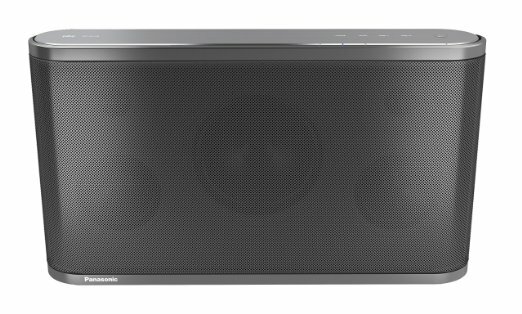 The wireless system makes it easy to move the speaker from room to room and to take with you on the go. And when it's finally time for your girls night out? Link the speaker to your Spotify playlist to get you in the mood to party. It's a great little gadget for music loving busy young parents. Technology can really help entertain your baby, and it can also help to keep them safe. One of the best downloads we made was the Annie Baby Monitor app. Pairing two devices hosting the app allows you to turn them into video monitors, so we can check on Theo anywhere from our smartphones (it even pairs with Apple watches now). You can even press a microphone button to speak to your baby remotely. It also keeps an automatic sleep log so you can monitor how your child has been sleeping. Great peace of mind and the app is free! This is something we love because it combines a great use of technology with a really cool design. 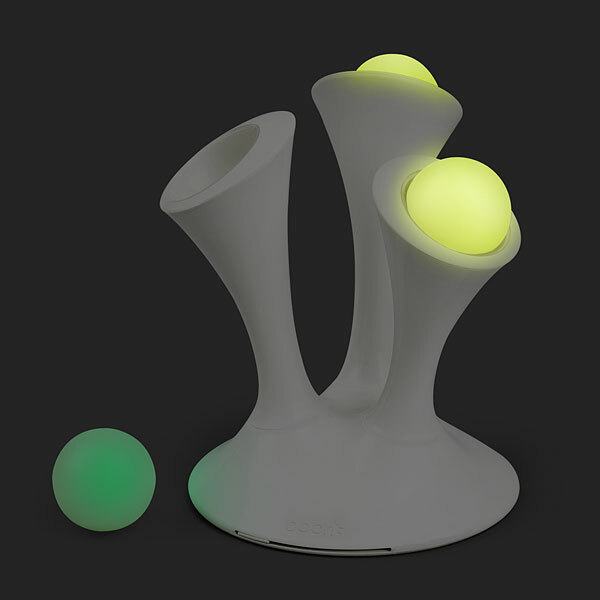 It's a nightlight for children that features these removable glowing orbs. They charge up while the light is on, then you can remove them. It means Theo can have a light in his cot with him- these don't heat up or break as they are not electronic, so they're safe for him to play with. Like most babies he's fascinated with things that light up or glow in the dark. The light gradually fades out to help soothe him to sleep. When he gets bigger, they’ll be really useful if he needs to get up and use the toilet in the night too. Plus the lamp looks really beautiful as well. As any new parent will know, feeding takes up up a lot more time than you think before the baby arrives. Sometimes it feels like all you do when they’re first born. And when they're hungry? Oh, you know all about it. Those cries are loud! Waiting for a bottle to heat up can be quite torturous, and if you're out and about or in the car with nowhere to heat a bottle up? You could be on course for a meltdown of epic proportions. That's why I think this self warming bottle is an amazing idea. 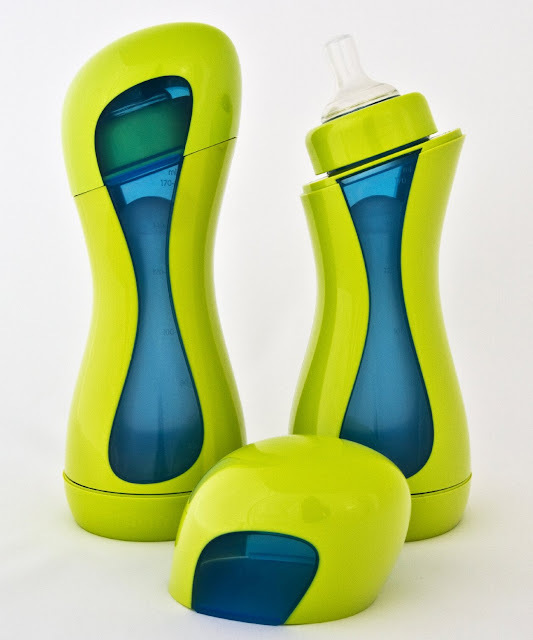 It can warm six ounces of milk to drinking temperature in four minutes and it has an anti colic design as well. When sleep deprived as only a new parent can be and having to take approximately 10,000 items with you for the average trip to the park, it's inevitable that things get lost. I seriously couldn't tell you how many times I've mislaid my phone, wallet or keys since I had Theo. The baby brain struggle is real! After an especially broken night, I'm lucky if I leave the house with shoes on! And if the thing you lose is your child’s special blanket or toy? You're in serious trouble. Tile can help you avoid all that. 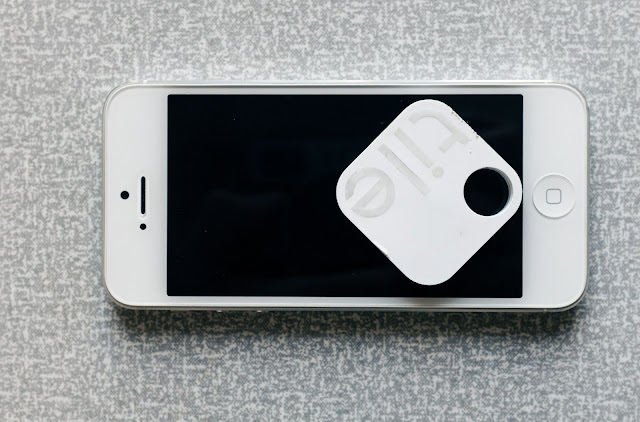 Simply stick, sew or join it to any objects and you can use your phone to track where the item is. It's a complete lifesaver and any parent whose ever been forced to retrace their steps after realising a comforter is missing will instantly know how valuable this is. Think of the time you save where you would have been searching. That alone makes this a brilliant invention. So there you have it. These are the tech gadgets that will make your life as a new parent so much easier! Let technology help you take a load off. Have I missed something game changing? Let me know about any amazing baby related tech you've discovered lately!